Sure. Keep your percentages, just don't fool yourself into thinking they are objective or that combining a bunch of percentage grades makes for valid measurement. Integer scores are actually more forgiving than percentages in that even if you are averaging an extreme scored doesn't make recovery impossible. Here's a look at my grade book with categorical scores (which make more sense for the type of projects I give) and what it would look like with percentages. 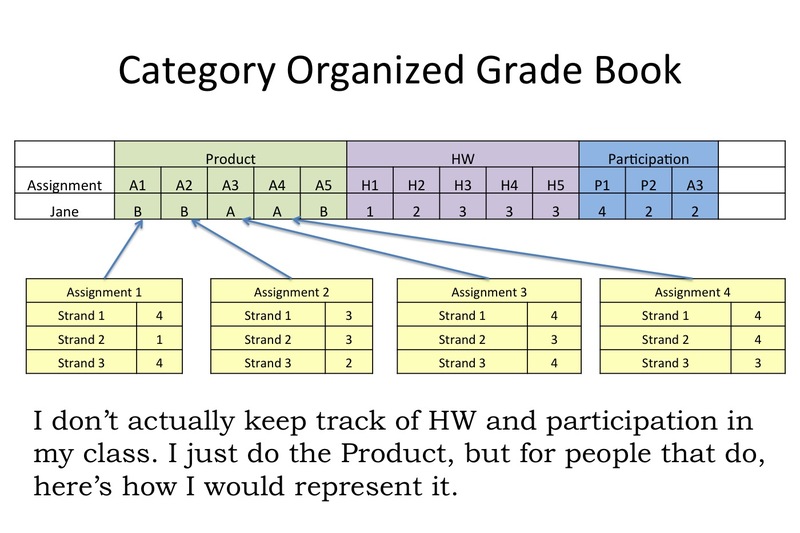 The important thing here is that I am seperating my product scores (projects, papers, MC Tests, Essay Tests, etc.) from practice exercises and other process factors.